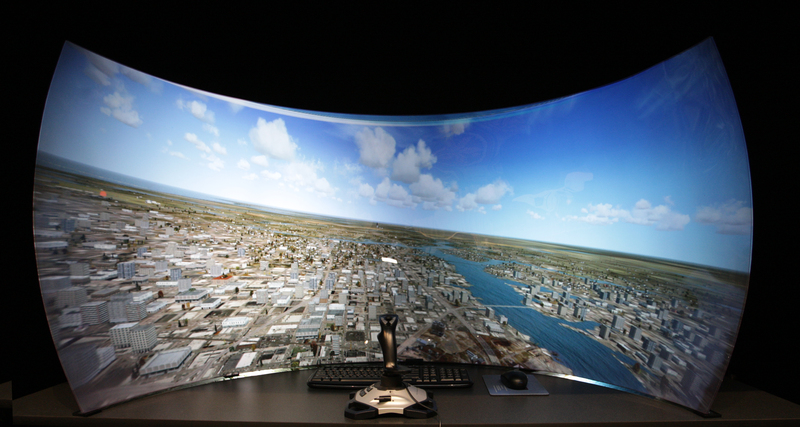 Prepar3D ® – Lockheed Martin’s mid-fidelity visual simulation software – demonstrated its strategic role in the future of serious training at this year’s Defense GameTech Users’ Conference in Orlando. The annual conference is the centerpiece of an effort by the Department of Defense to advance game and virtual world technologies to improve training and human performance. Conference attendees were enthusiastic about Prepar3D ®. Some noted the new bathymetry and sensor out-of-the-box capability, which they said adds tremendous usability for warfighters to use in training. Others liked the convenience of the commercial web site and online store which made it easier for them to access, faster. 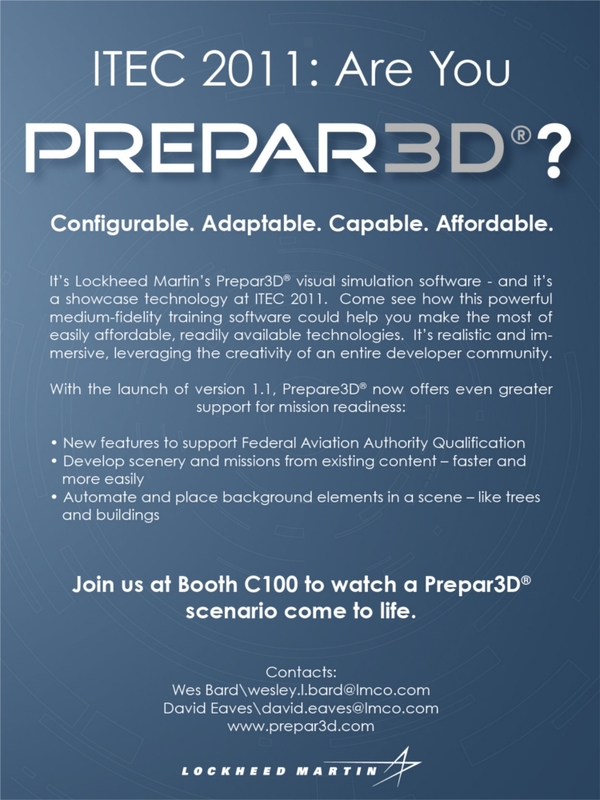 Next, the Prepar3D ® team will travel to Cologne, Germany, for the annual International Training and Education Conference (ITEC) held May 10-12, 2011. New users can now register and purchase the latest version of /purchased_downloads/”>Purchased Downloads page. Read the installation notes carefully before installing version 1.1. For existing users, the new release will install over your 1.0 release, with all of your Prepar3D® 1.0 activation and licensing information carried over to version 1.1 seamlessly and without any user intervention required. Existing users if you find that you have any trouble downloading, or licensing issues upgrading an existing license, ensure you are logged into Prepar3D.com with the account associated with the email that has purchased the license. If you still cannot see your downloads on the licensing@prepar3d.com with your username, email address, and license ID. Thank you.